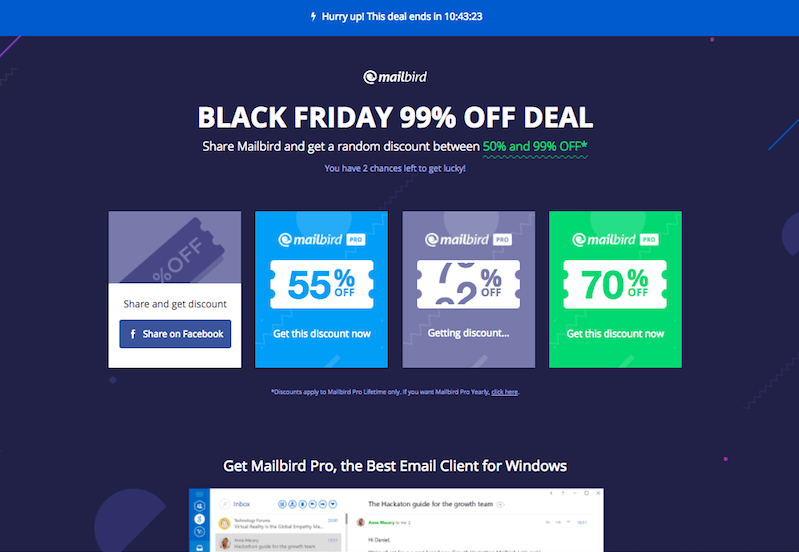 With Black Friday and Cyber Monday coming up, we have thought of a super fun way for you to get the best email client ever, Mailbird Pro Lifetime up to 99% off. Visit our Mailbird Black Friday // Cyber Monday page here. 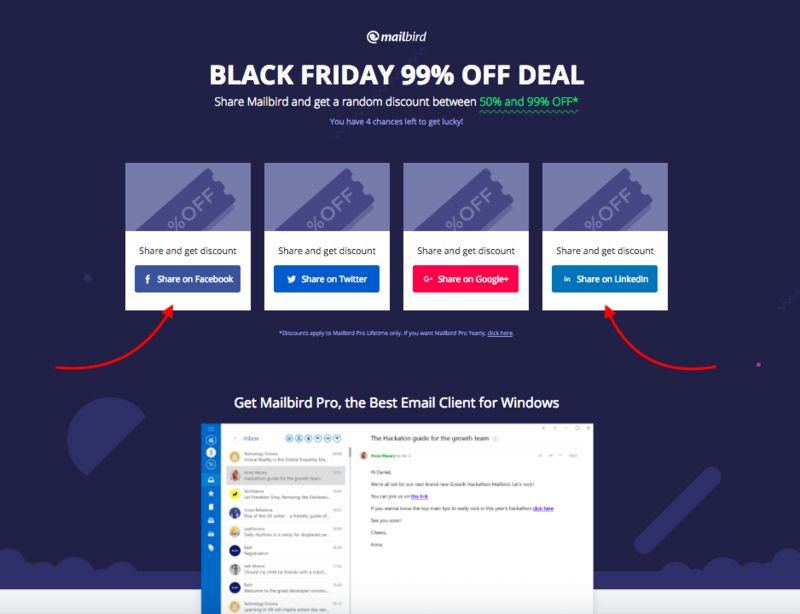 Click the share buttons to play and win the best Mailbird Pro Lifetime Black Friday // Cyber Monday deal ever. You have four chances to to play, and you can do it with friends too! Each time you share, you increase your chances for a better discount. Click on the share buttons and your discount code with start rolling up. 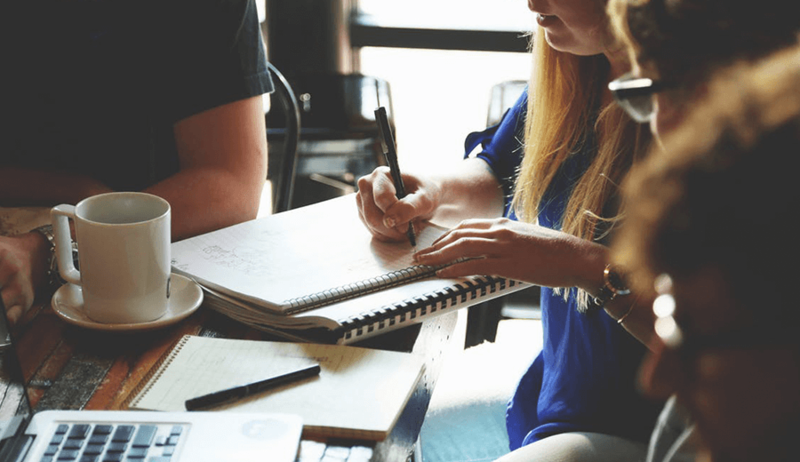 The best thing, you can share more than once to increase your chances to get that 99% discount on Mailbird Pro Lifetime. That all there is to it! Try it out and see how lucky you are this Black Friday // Cyber Monday, for the best deal on the worlds favorite email client ever. Don’t want Mailbird Pro Lifetime for 99% off? You can also use the blue *click here* link under the sharing buttons to simply get Mailbird Pro (not Pro Lifetime) for 50% off. 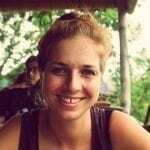 One thought on "Mailbird’s crazy Black Friday and Cyber Monday Deal"
Great! But, why your app do not have a portable version? Any plans on this?